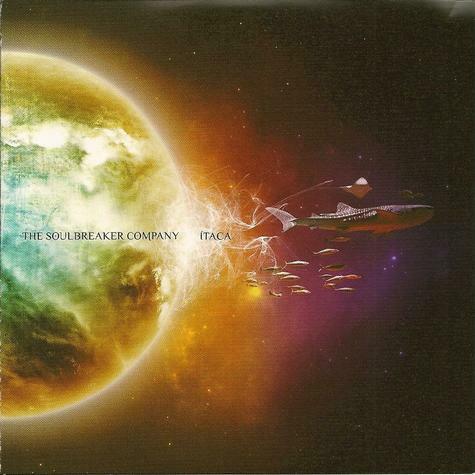 The Soulbreaker Company - "Itaca"
I have never heard of this band but they play some pretty cool songs and fans of the Black Crowes might want to discover these guys as the vocalist is very inspired but their style and sound. The CD starts off with It’s Dirt and a spacey synthesizer track as the track slowly builds and the rest of the band enters into the music. A nice sax is the first lead instrument (reminds me of the Univerzals) followed by a nice lead guitar solo and then the rock picks up and you hear the singer for the first time and he has a fantastic and powerful voice. The track remains very melodic floating and spacey, which is cool. Oh Warsaw is a more uptempo and hard rocking track with good dynamics between the organ and intense singing. Man he is intense. The guitar player is also excellent at playing very melodic and beautiful solos like the one on this track that leads into the intense sax solo. Sow the Roses starts with an acoustic guitar and then the melodic lead guitar comes in and the singer really reminds me of Chris Robinson of the Black Crowes. Rude Perfume is a more hard rocking track with a nice interaction with the organ and guitar riff in this quite complex track. The singer Jony is very intense and the guitar solo very cool in this track but then it is followed by a melodic piano solo. Lots of nice solos on all these tracks and the band stay in a quite melodic range. Colours of the Fire has a nice female vocalist singing along with Jony as this track builds up and has a killer guitar riff in this excellent and spacey track. By now in the CD the band is already using some of the same ideas as on earlier tracks and while these songs are still great, many of the same themes are used and Jony’s singing style can start to push you to the edge. He is incredible though. Where Mermaids sing Loud is probably the radio track but still pretty rocking despite being a ballad. Take a seat on the Moon has a great wah guitar solo (a bit short) and I love the middle section with the piano and sax solo. Saviours is another melodic hard hitting track with a thumping bass line and a special synth and not the organ that is used on most of the tracks. Sandstorm ends this very good record and is a more organ based track. This is a very good band and if they jam live I could really like this band.